Here’s another thing that we, startups, have in common with indie authors: we often blog. 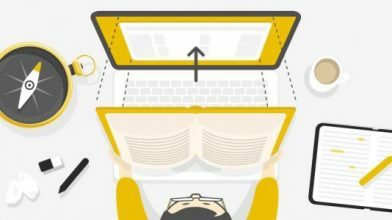 Whether it’s as a way to establish ourselves (in time) as thought leaders in our industry, to drive traffic to a main website, or to keep customers engaged with us, we are big fans of what we use to call “content marketing”. This strategy is all the more attractive to authors that they are used to producing content for a living. However, “blogging” is not “writing”. It’s writing, engaging, promoting, socialising, etc. It is time-consuming and not necessarily something all authors are good at. I believe there are actually two schools of thought out there, one urging authors to have a blog, the other one stating that time spent on writing for the blog is time you could have spent writing “sell-able” material: books. 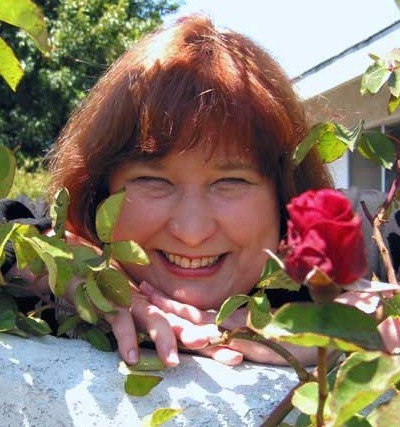 So today we interview one of the most successful author bloggers out there: Anne R. Allen. And she offers some good points on how useful blogging can be, if done right! Reedsy: Hi Anne, thanks for granting us this interview. It is fair to say that you have, together with Ruth Harris, one of the best-performing author blogs out there. And you’ve written several posts on blogging, but we’d love to dive deeper into that. The “B” word is sometimes scary to authors: do you think blogging is a requirement for indie authors today? Or just a very useful option? Anne: Thanks. I do post extensively on blogging. I’m a big fan of “slow blogging”–that is blogging once a week or less. 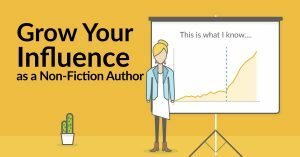 I feel a working fiction writer doesn’t need to blog as often as somebody who is blogging to monetize, and most of the rules for blogging don’t apply to novelists. But fiction writers can definitely benefit from maintaining a blog. I’ve also written a book that discusses blogging in depth, along with the other skills I think benefit a 21st Century writer. The book is HOW TO BE A WRITER IN THE E-AGE, co-written with NYT bestseller, Catherine Ryan Hyde. I’m working on a short handbook specifically for new authors who want to learn to blog. It will launch with Kotu Beach Press later this year. In answer to your question: no, not every author should (or can) blog. Some authors aren’t cut out for writing little nonfiction essays every week. If you hate it, that will show, so don’t do it if it’s not fun for you. On the other hand, blogging is probably the most useful form of social media for the new author. For one thing, it’s the only kind of social media where you have most of the control. 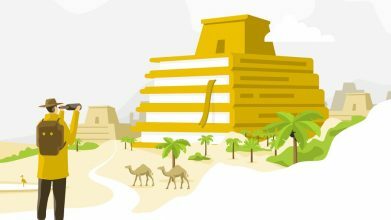 It gets you into search engines, helps you relate one-to-one with potential readers, and connects you with other authors and publishing professionals. Virtually all the people I work with in this industry I met through my blog. That includes two of my publishers, my first agent, my blog partner, and the wonderful fellow authors I work with for boxed sets and joint promotions. Reedsy: I feel there is as big a proliferation of content in blogging as there is in books… And the “big blogs” are the ones most trusted by the readers, so is it still possible nowadays for a starting blogger to get “big”, and how might they achieve that? Anne: Wonderful new blogs are getting my attention all the time. They don’t need to be “big” like ours to be useful to an author for networking and interacting with fans. All a blog needs to do is provide an author with a kind of “home” online where people can stop by and get to know you. Reedsy: What is the most common mistake you see authors making in their blogging activities? Not visiting other blogs. Social media is social, people, get out and meet the neighbors! Dark background, light font. Tough on the eyes and looks like an old MySpace page. If you’re a writer, your text is all-important. Make it readable! Posting erratically. Don’t try to post every day. Choose a day of the week or month to post, and then do it regularly. Starting a bunch of blogs. Unless you write in wildly different genres, say Christian YA and Erotica, you don’t need more than one blog. You won’t be able to keep them up and readers will be confused and won’t be able to find you. Treating it like a personal journal. A blog is more like a magazine column. Be professional. Nobody cares what you had for lunch. 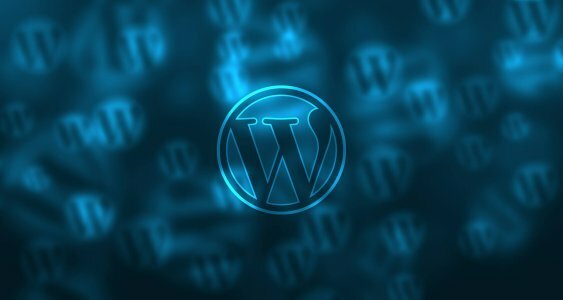 Not putting your name on your blog! I can’t believe how many writers give their blog a cutesy title and don’t let us have a clue who the heck they are and how to contact them. You’re trying to establish a brand here, not join an anonymous hackers club. 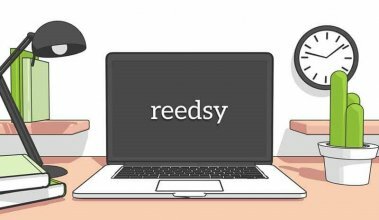 Reedsy: Is it useful to mix content forms and media (text, image, audio, video) or better to stick to one? Anne: It depends on you and your audience. Ruth and I are strictly old school and our audience is mostly mature adults. They prefer their information gimmick-free. No videos and very few images. Those things take a lot longer to load and we want people to be able to read our blog quickly and interact in the comments. But every blog is different. Lots of great blogs use video, podcasts, and tons of images. Reedsy: You mention in one of your posts that you believe the 500 word limit many set for their posts is archaic now. What would your recommendation be? Is it useful to mix lengths or should the reader always be able to know what to expect? Anne: I’ve seen studies that say today’s ideal blogpost is about 1200-1500 words. Our readers would be very disappointed to see a 500 word post. They expect in-depth work from us. But if you blog more often than once a week, shorter is fine. 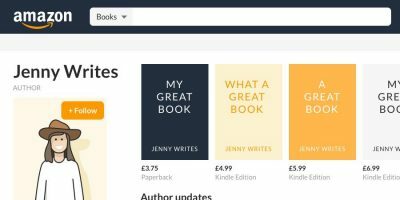 Reedsy: What should the #1 motivation be for an author to start a blog: the desire to monetise it eventually (through ads or referral programs), the intention of generating traffic to increase book sales, or just for fun? Anne: First, if you’re a new author, I don’t think monetizing a blog is a good idea. The income from affiliates and other advertising sources is going to be pennies a month. Ads annoy your readers and make you look needy. Your blog should aim to raise your online profile and be the “hub” of your online presence. Blogs aren’t that great for direct sales. What they do is help establish your platform. They make you Googleable. Having fun is a bonus. 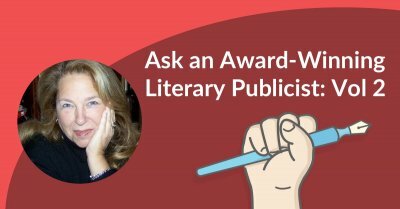 Reedsy: The #1 topic out there on authors’ blogs is writing and publishing advice. Is this still a good thing to go for or should authors start thinking about blogging on other subjects (maybe topics that are more related to their readership)? 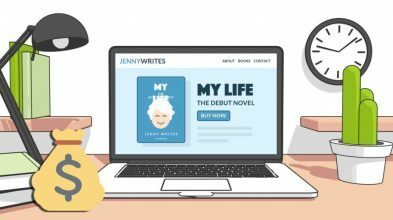 Anne: There are a lot of “how to fight writer’s block” and “prop up your book’s sagging middle” blogposts out there, so a blog that concentrates on writing tips is going to have a lot of competition. What you blog about can change and grow with your career. 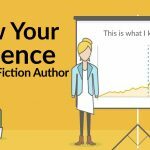 When you’re starting out, you want to network with other authors, so writing-related stuff can be useful, but later, when you want to reach fans, you’ll want to change focus. Write more about your settings and subject matter and let people know about you as a person. Reedsy: What is the best way to promote a blog? Is it fair to say guest-posting is the most effective method? Anne: Guest posting is probably the best way to get your name out there, whether you have your own blog or not. Landing a spot on a high profile blog can jumpstart a career in a major way. My blog went from about 10 hits a week to 1000 when I won a guest spot on Nathan Bransford’s blog in 2010. But guesting on a smaller blog run by an author who writes in the same genre can actually sell more books than getting on a blog that gets 100K hits a month like ours. One of my best sales days in my early career came when I visited a chick lit blog with only a couple of dozen followers. Nearly every reader bought my book. And the #1 way to get invited to guest blog is also the best way to get traffic to your blog: comment on other blogs. Get to know the blogging community. One comment on a blog like Nathan’s or The Passive Voice (or ours) will put your name in front of thousands of readers. Also, don’t underestimate the power of other social media. My blog took off mostly from Tweets from readers. Google Plus is also essential for bloggers, IMO, because a post that’s reposted on Google Plus will immediately get a high SERP rank. If somebody Googles “How to Blog” I might see one of my articles on the first page of the search results. But it won’t be a link to the actual blog. It will be a link to my Google Plus page where the blog has been automatically reposted. People who click through will see my entire Google Plus profile as well as the blogpost link. Very nice for getting your name out there. Facebook is becoming less and less useful for authors (or anybody else), but we still do get about 10% of our traffic from FB shares. Reedsy: Thanks for your time, Anne! Do you have a blog too? How often do you post and what’s your experience it in terms of dos and don'ts? Make sure to leave us your opinion, or any question you’d like to ask Anne, in the comments below! ← “I like things a little more visceral…” — An interview with designer Stewart Williams. 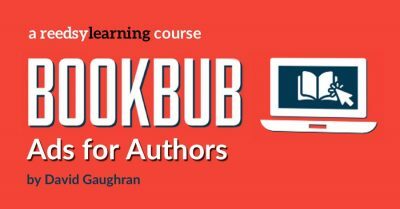 Enroll on this 10 day publishing course.